Remey Communications is a full-service public relations and marketing firm that has built its reputation on helping clients to effectively communicate to their audiences. For our clients, this effective communication translates into: increased sales, elevated awareness, action from stakeholders, reputation building, and more. Realizing that communication takes many forms, our approach is to marry both visual and written options for the most effective results. Sandra M. Remey, M.A., A.P.R. is president of Remey Communications and has been helping a wide range of organizations to meet their business goals since she launched her firm in 1998. She counts among her clients, associations, corporations, Fortune 500 companies and non-profits. Remey focuses on results: increases in brand awareness, innovative public relations and marketing strategies, greater visibility in the media, boosts in advocacy-related outcomes, increases in web traffic, changes in audience perceptions, and measurable results. Her reputation as an effective strategist and leader has made her a sought-after counselor. She is the recipient of numerous awards for her work, and has authored articles on effective communications. Prior to launching her firm, Ms. Remey led communications teams at the highest levels of business for corporations and associations, and also worked for one of the leading global PR firms—Ogilvy Worldwide. Her experience covers the gamut from building a PR and marketing foundation to support an IPO, to effective advocacy communications at the association level. She and her team of experts offer senior-level expertise to clients they serve, with no hand-offs to junior level staff. Ms. Remey holds an MA in Public Communication from The American University and a BS in Journalism from The University of Maryland. 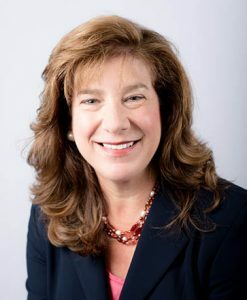 She is active in the Independent Public Relations Alliance and the Public Relations Society of America (PRSA) and earned their coveted APR accreditation. Ms. Remey has been a speaker at the PRSA’s International Conference and is listed in several of the prestigious Who’s Who in America publications.